During the holiday season I consume more then my fair share. I have to say I was really pleasantly surprised at how good this shake is. Jack shakes seem to be really good or really blah. The flavor on this one is a nice strong egg nog, lots of nutmeg, a little cardamon even. It's thick and creamy (thank you Jack for using real ice cream) and it doesn't have that chemical aftertaste that some egg nog flavored items can get. Best Jack shake in a long time! DD2 they are worth the trip to Jack alone. Sadly, there are no Jack's in the state of New York. 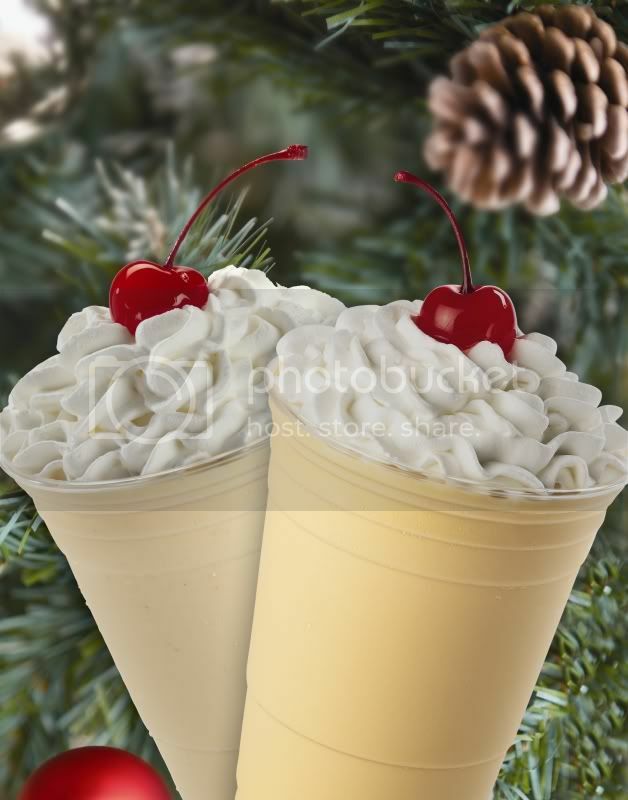 BUT- I do have it on good authority that Shake Shack does a pretty excellent version in they're own right on Wednesdays with an egg nog custard. Stayed tuned for a review of something Shake Shack towards the end of the month!